The Tour de France has a huge following in the Netherlands and this year Utrecht will be turning French as it hosts Le Grand Départ – the grand start of the round France cycle race – on July 4. 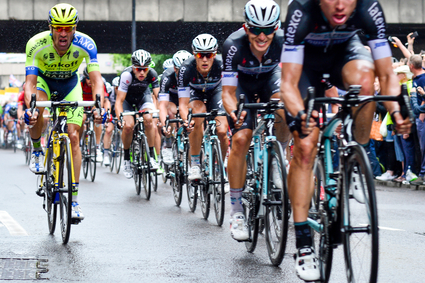 The 2015 Tour de France is made up of 21 stages and will cover a total distance of more than 3,300 kilometres. This year the first two stages take place in the Netherlands – one in Utrecht itself and the second from Utrecht to Zeeland. The city is pumping €15m into the event and expects between 500,000 and 800,000 visitors between July 1 and July 5, when the massive tour entourage moves on to Belgium for the third stage from Antwerp to Huy. 2015 marks the sixth time the Netherlands has hosted the start of the world’s most famous cycling event. ‘One of the reasons the Tour has come to the Netherlands is the way in which we deal with cycling,’ the project director Martin van Hulsteijn told news agency ANP earlier this year. Final preparations for the time trial are now underway, even involving the temporary removal of some bike racks to free up space for spectators. Utrecht has gone all out organising cycling related events to coincide with the race. There are concerts and exhibitions. A science and cycling conference will take place on July 1-2, which looks at scientific contributions to the development of professional cycling. Among the entertainment will be Orchestre Bicyclette – a 100-man bike-riding orchestra. And German electronic music pioneers Kraftwerk will be performing their album Tour de France at the TivoliVredenburg on July 3. If the thought of joining the tens of thousands of people cramming into central Utrecht to watch the time trial is too much, the second stage of the race offers better opportunities to really savour the style of the Tour de France. 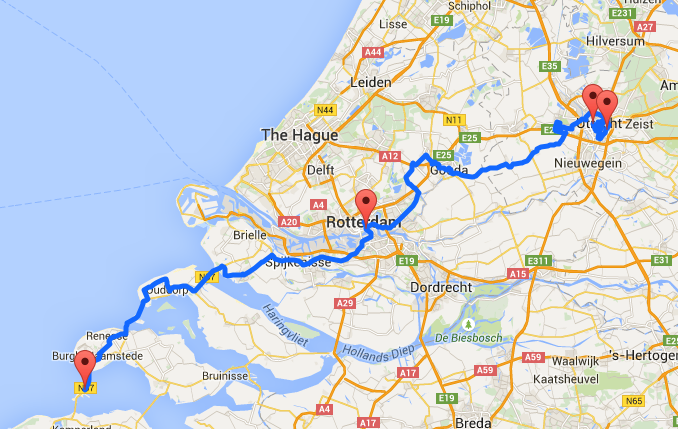 The second stage, on July 5, covers 166 kilometres from Utrecht to Zeeland, and offers some potentially spectacular views along the way. 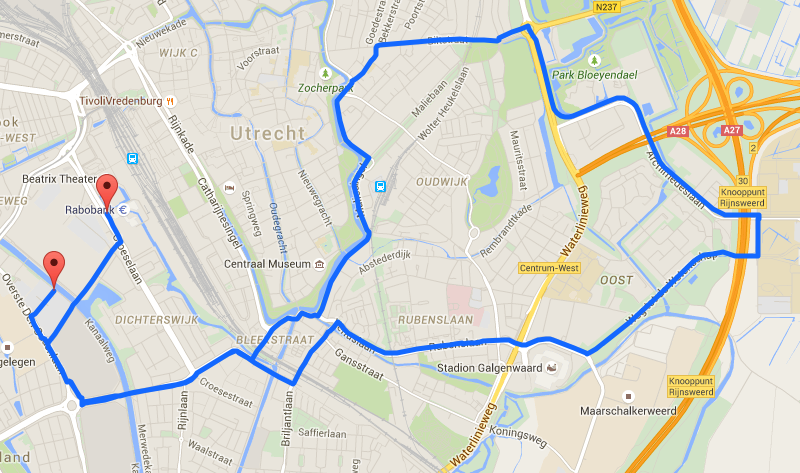 Not least will be a ride along the old canals and underneath the Dom tower in the city to the official start. From Utrecht, when the race starts at 13.45 hours, the pack will travel through Gouda and Rotterdam before heading down the coast over the network of dykes and bridges that make up the Delta Works flood prevention scheme. It ends at the Neeltje Jans visitors centre on an artificial island in the middle of the water. ETA is around 17.26 hours, according to the official timetable. If you prefer to watch the road race itself, be prepared for a lot of waiting around. Find a good spot with a long view of the road, pull up a camping chair and wait. You’ll get the cars carrying the sponsors, the cars carrying the press, the cars carrying the rest of the entourage and then a fast blur of bikes. The actual pack flashes past in a few seconds. If you’d rather catch up on the action from the comfort of your own home or office without the wait, the Tour is always shown live on Dutch television and there is a daily round-up every evening.